In June 1890, killed by natives at Aure Island, New Hebrides, George Latour, second surviving son of William Young Esq. of Hexton, aged 44; also at the same time and place William Young Latour, his son, aged 16. Sydney 13 October News reached Sydney yesterday of the massacre of two British subjects – a copra maker and his son – at a village near Tanto in New Hebrides. The natives of the village implicated had gained some notoriety through many atrocities commited on the settlers, and only recently had a visit from a British warship. The captain of the latter appears to have captured and taken away one of their chiefs or head men for some outrage or other, and it was to avenge the loss that the copra maker and his son were killed. Assisted by a native wife of one of the victims, the murderers attacked the unfortunate men at 11 o’clock at night, whilst they were in bed, and shot them down in the most coldblooded manor. The body of the son was taken away and eaten, amist great rejoicing. The names of the victims had not been obtained, but a passenger who travelled in the steamer which bought the news to Noumea states that the father was between 40 and 50 years of age, and the son about 19 years old. Both had been sometime in the group, and were well known at Noumea and Sydney. H.M.S. Royalist was at Noumea when the news of the massacre was received, and she was to proceed to the group on the 8th instant to punish the murderers. The Brisbane Courier of November 20th says: The murder of Mr George de Latour and his son at Aure Island on the 18 September, which has already been notified, was reported to the commander of H.M.S. Royalist , at Noumea, about a month later. News has reached Brisbane that the Royalist went to de Latour’s station, having previously obtained the witnesses in the case. Three prisoners were secured, and on a Saturday morning were landed, with some eighty seamen and marines. The captain had previously examined all the native witnesses and three men having acknowledged their guilt, all hands mustered round the grave of the de Latours, which had the day been enclosed with rails and a cross erected over it. The captain, through the missionary who interpreted, told the three men that they had been found guilty of murder and would be shot. The party then marched to some trees outside of de Latours property, where the prisoners were blindfolded and lashed to separate trees. One fellow – a native named Thor who had planned the murder, and actually shot the de Latours in their beds during the night – did not budge a foot, but the other two struggled violently. These men were Thor’s tools, and had only taken part in the murder for pigs promised them by Thor. They had no ill-will against de Latour, but tomahawked both father and son. The firing party was divided into three sections, each of about ten men,one section for each man and at the order ‘fire’ the three prisoners were shot, death being instantaneous. They were laid side by side in a grave. Really the cause of the murder, and the person who originally planned it, was a black woman, de Latour’s housekeeper. She was present when the natives were shot, and did not show the slightest concern. She was left there, after having been on board the Royalist for some time as a prisoner. George de Lautour was born in Weymouth in 1846, his baptism does not give a date of birth only a baptism date of 12 June 1846 at Melcombe Regis, Dorset. His parents were William Francis Joseph Lautour and Elizabeth Turton, they were married in Morlake, Surrey. George can only be found on the 1851 census when he is living with his family at Balcont House, Kiltear, Ross and Cromarty, Scotland.The others with him are his father William, mother Elizabeth his sister Frances Jane aged 10, Georgiana Mary aged 9 and his younger sister Katherine Barbara aged 3. His older brother William is absent. George cannot be found on any other censuses so it is not know when he went to Austrailia, however, he married Lavinia McKinley on 6 June 1870 in Queensland. 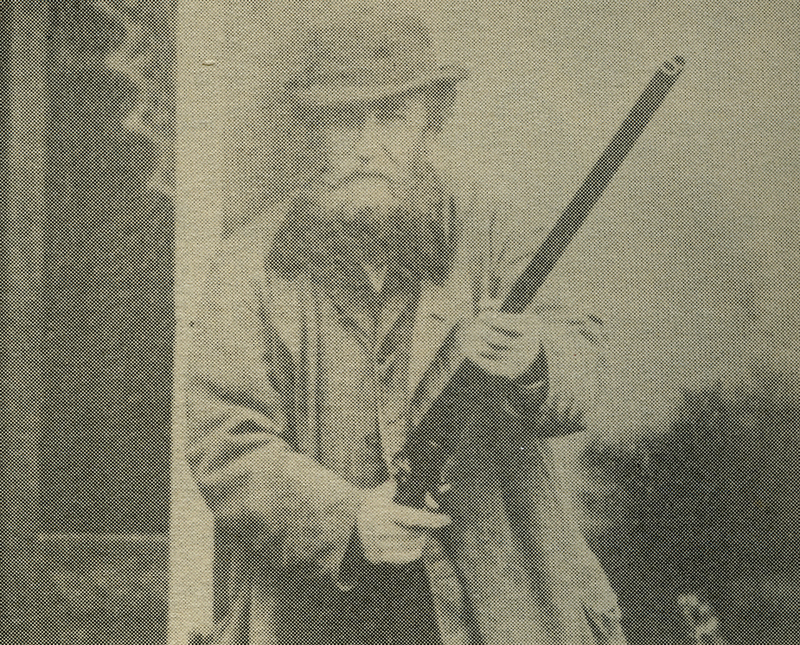 His son William Young Lautour who was murdered with him would have been born around 1874, probably in Australia. Although George was murdered in 1890 it was not until 1930 that his will was finally proved. He left £1284 19s (76,955.66 in 2005 value) the names were Francis Rickman Shillitoe, solicitor, Harold Shillitoe, merchant and Hugh Smyth Sale, motor engineer. The connection to Hertfordshire is that George’s father William was lord of the manor of Hexton. On the 1841 census George’s parents William and Elizabeth were living in Gloucester Row, Melcombe Regis, Weymouth. Living with them was a Jane Young aged 70 and a child, Frances Lautour aged 6 months. William F J Lautour was a Captain in the Grenadier Guards and cannot be found on the census of 1861, however, his wife died at some point as he remarried in 1856 in Hexton to Elizabeth Robinson. In 1871 William is living in the village of Hexton with his wife Elizabeth and three of his children, Georgianna, Katherine and Edward. There is no mention of George or his other children. By this time William’s mother had died leaving him with Hexton Manor, her will states she had about £5000 (£228,500 in 2005 value) and at this time he took on his maternal grandfathers surname Young. William was churchwarden as Captain Lautour in 1866 and then again in 1870 and 1872 as William Young. He succeeded to the estate at a time when British agriculture had collapsed. There were several bad seasons and American prairies were developing and could produce grain which could easily and economiclly be brought to England, and corn growing districts such as around Hexton suffered. William’s family affairs were also having problems, as when his mother Caroline died he had a brother, five sisters still living and between them all they had fifteen children all hoping for something from Grandma’s will. The estate had been entailed to William being the eldest son, but after the money and the contents of the house had been divided up between the family there was nothing left. William and his wife had been living at Orchard House and continued to do so. Hexton House was stripped of all its contents, most of which were sold, and the shutters were closed. William had ten children ranging in age from 30 to 9 years of age. Two died as infants and Harry was lost at sea. William was enlisted in the Grenadier Guards and the remaining three sons were away at school, university and in Australia. This last person possibly being George. In the 1881 census William is listed as living at Orchard House and being a Gentleman and Lord of the Manor of Hexton. Also living with him is his wife and his widowed daughter Georgianna. In 1891 William is still living in the village of Hexton with his wife and living on own means. William Francis Joseph Lautour Young died 11 November 1899 at the age of 87, he left £916 2s 6d (52,274.00 at 2005 value) again Francis Shillitoe solicitor was named. In less than a month later his other son, William Young Lautour, of Hexton, died on 2 December 1899 he was 56 years old and a bit wealthier than his father, he left £38,193 10s (£2,179,321.11 in 2005 value). 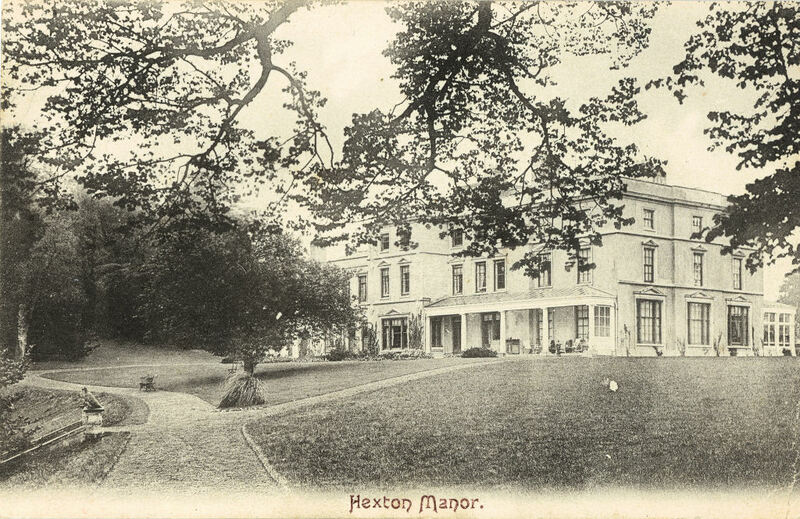 I am just transcribing an Epitome of Title to Ashtead Park Estate, Surrey and William Young Lantour of Hexton is shown as one of the Executors and signatories to family loans together with the Bagot/Howard family. Nothing is known of his connection to them or to Ashtead. I had come to the conclusion that he was another son of Edward Richard Bagot, but apparently not! Any contribution would be gratefully received! What happened to the tribal chief who Latour took away? Was he killed? If he was then Latour got away with Murder, but the natives who shot the 2 Latours were shot dead and Latour got away with Murder. Racism was endemic everywhere until recent years.